Last year Hi-Rez Studios officially released SMITE and long story short, I absolutely loved it. I am not the biggest fan of games where you have to point and click and see all the action play out in front of you rather than actually controlling it. SMITE was like a breath of fresh air, it is absolutely a true MOBA experience but the difference between SMITE and other MOBA's is that the game takes place from a third person perspective. 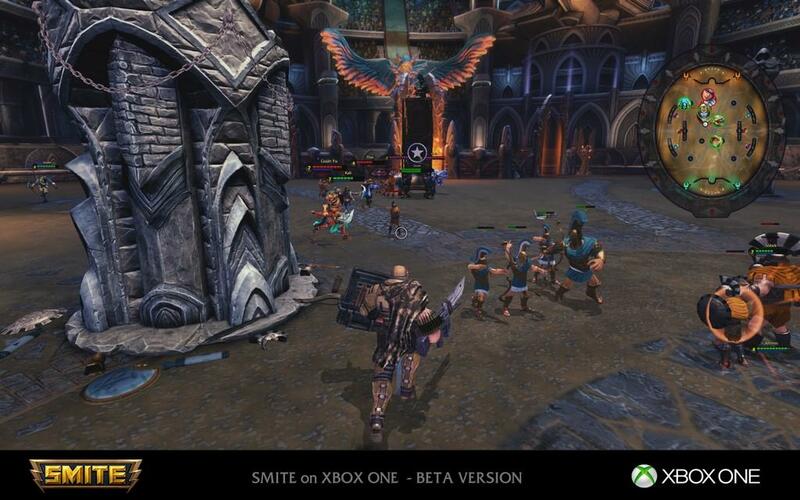 This year however, Hi-Rez is bringing the same MOBA experience to consoles with SMITE on the Xbox One. The Xbox One version is the same addicting MOBA that was on PC but it also provides consoles with a true MOBA experience that hasn't been seen before. For those unaware, the characters you control in SMITE are all based on gods and goddesses from ancient mythology like Zeus, Athena, Hades, Ares, Artemis, Freya, Apollo and tons more. As of this writing, there are currently 60 plus characters to choose from with at least one new character being added every month. You have full control of each god in the game, each with their own unique abilities. The most obvious difference between SMITE on PC and SMITE on the Xbox One is that you play the game using the controller. The default control scheme has the abilities mapped to the face buttons with the shoulder buttons being used to attack, and to upgrade abilities. There are also alternative control schemes as well where are the ability buttons are mapped to the shoulder and trigger buttons. I prefer this control scheme to the default one as I find it easier to aim and fire abilities . The only downside to this is that there are a few abilities in the game that can be extremely hard to land without the precision of a mouse and keyboard. 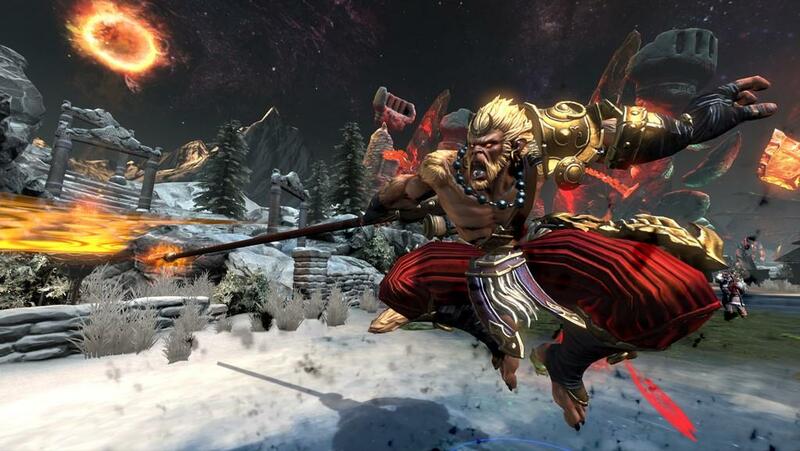 The biggest one is Rama's ultimate where he leaps in the sky and then gets three shots on his opponents before landing. These shots are extremely difficult it land, even on the PC version because the targeting area gets smaller with each shot. Trying to aim this on a controller thumbstick is even more difficult. Aside from that, most of the abilities are still The other thing that SMITE has done well on the Xbox One is completely streamline all of the menus in the game to allow quick access and purchase of items. Pressing the d-pad will bring up the item menu and the bumpers can be used to easily scroll through all of the categories of items. This is extremely helpful based on what kind of character you are playing. If you are playing as a Guardian, all of your health and protection items will be in one tab. If you are a mage, all of your magical damage items will be in another tab. To new players, the menu for consoles might seem a little overwhelming. Even coming from PC it was a little overwhelming trying to find everything but once you get the hang of it, you can easily find the items you need and get back onto the battlefield. 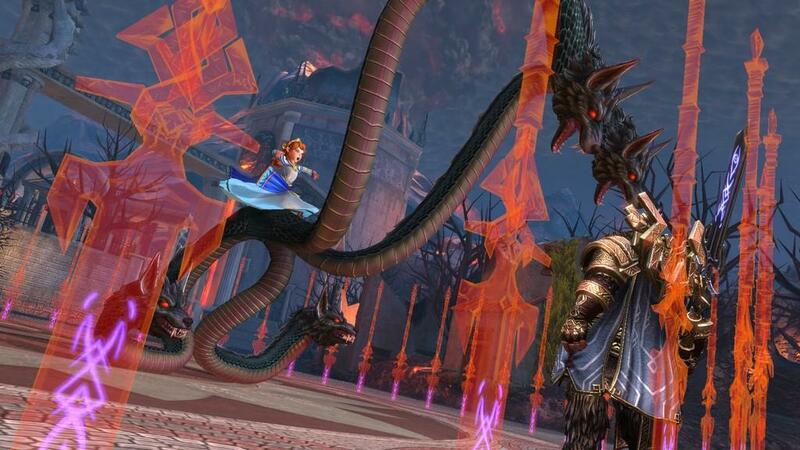 The main game mode of SMITE is "Conquest". Two teams of five have to lead minions to enemy towers, take them down, take out the phoenix and then finish off the titan to win. Conquest starts off slow, with both teams clearing waves of poor minions for farm. As the game goes on however, towers get taken down, players level up, the laning phase ends and breaks down into all out teamfights with abilities being fired off like crazy. These are the moments which make SMITE and Conquest in general a ton of fun. Games can get extremely tense once you reach the half hour mark and the only objectives left standing are the phoenix's and teams are constantly fighting, constantly defending and are going for the big objectives like the fire giant and the gold fury. The great thing about SMITE is that it offers an incredibly amount of replay value through all of their different game modes. Don't have time for a 45 minute - hour long game of Conquest? Arena offers a fast and fun team deathmatch style game mode where both teams start out with 500 tickets. The goal of the game is to reduce the enemy ticket number to zero. Killing an enemy deducts five tickets, getting a minion through the portal is one ticket, last hitting a minion deducts one ticket, and if you can get a friendly juggernaut to the enemy portal, it deducts fifteen tickets. Arena is currently my favorite game mode. It's fast, frantic, incredibly fun and it only lasts about 15-20 minutes. It's also the perfect place to practice with gods that you aren't familiar with. Assault only features one lane, two towers, a Phoenix and a Titan. Everyone is assigned a random god at the beginning of the match and the whole random team comps is what makes Assault a ton of fun. One team might get loaded up with Assassins while the other team gets Guardians. One team might have a ton of tanky Warriors, while the other gets mages. One team might get Hel which makes it an automatic gg if you don't get anti-healing items straight away since she is arguably the best healer in assault. The only way to go back to base is to die. There is no recalling here so if you are a healer or someone that is carrying the team, you can bet you are going to have a bullseye painted on your chest. Seige is a 4v4 game mode with two lanes. Every time you last hit enemy minions you earn a point. Once your team gets to 100 points, a friendly Seige juggernaut will spawn kind of line arena. These juggernauts however will plow down the lane like a bull in a china shop until they are destroyed. You want to use these Juggernauts to help take down enemy towers. If one spawns in a lane, you pretty much want the whole team to take it down because they have a ton of health. In the middle of the map, there is also a seige monster that spawns every five minutes. If your team destroys it, it will automatically spawn a Juggernaut in a lane. Trust me when I say that if you have two enemy juggernauts in a lane, you are going to want to immediately focus all of your attention to them and take they down as quickly as possible. One of my favorite game modes is the match of the day. The match of the day simply put is a mode where you can screw around, have fun and not have to worry about it being taken to seriously since stats aren't counted. These game modes usually add crazy stipulations to a game mode like having a 5v5 all Zeus arena mode with 80% cooldown, or having a Conquest match where everyone starts out at 100,000 gold, or having an Assault match where everyone is a healer. Finally, there is a 3v3 mode called Joust. There is a single lane, a single tower, a phoenix and a titan. There are also side jungles as well and this is also fun for quick matches where you might not have time for full blown conquest matches. The other great thing about SMITE is that other than having a ton of game modes to play, the game is also extremely rewarding through their mastery system. Winning or losing a game with any god will earn you "worshipers". These worshipers then decide what mastery that specific god is. The more you play a single god, the higher their mastery is. The mastery ranged from level 1-10 and you can also earn the ability to purchase rewards like special Golden, Legendary and Diamond skins when reaching certain levels. You can choose to pay for these skins if you wish but you can also buy them with in game currency called "favor" as well. This is one of my favorite things about SMITE because I love stats. I love going to the god page under my profile and seeing how many worshipers each character has. It's also great for bragging rights as well. If you see someone with a Diamond ranked Zeus for example, you know that they play that character a lot. 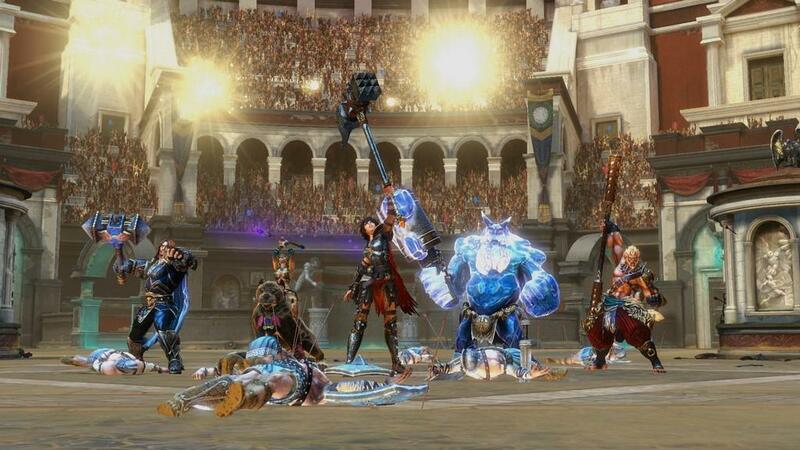 SMITE has made a great transition to the consoles but does come with a few performance annoyances. 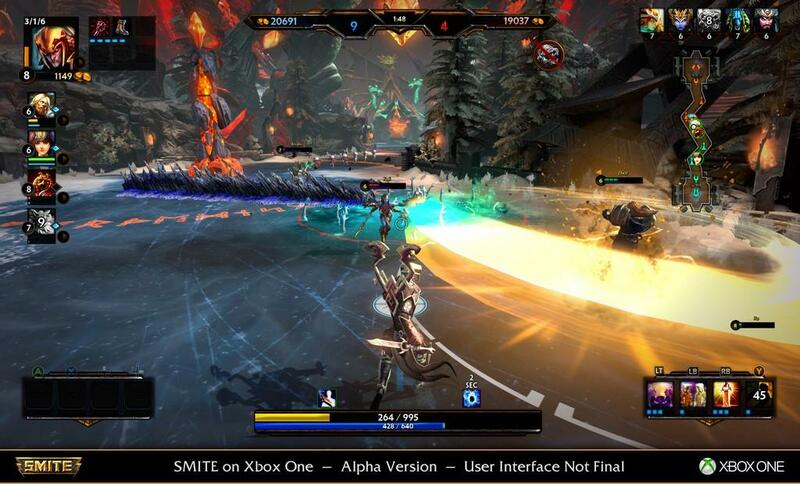 The one problem that I find with SMITE on the Xbox One is the framerate. At the beginning of the game, the framerate is fine, but sometimes, especially during team fights, the framerate can drop quite a bit. It certainly doesn't ruin the game, but it can get quite annoying at times. At the end of the day, SMITE is a blast to play and if you own an Xbox One, you should absolutely check it out since the game is free to play. If you only play console and have ever been interested in MOBA's but haven't been able to play any of them due to them all being on the PC, you should check out SMITE. It's fast, fun and addicting and has plenty to do to keep you coming back over and over again. Aside from some framerate issues and some skills are a bit difficult to land due to simply using a controller, SMITE on the Xbox One is just as great and just as addicting as it's PC counterpart. 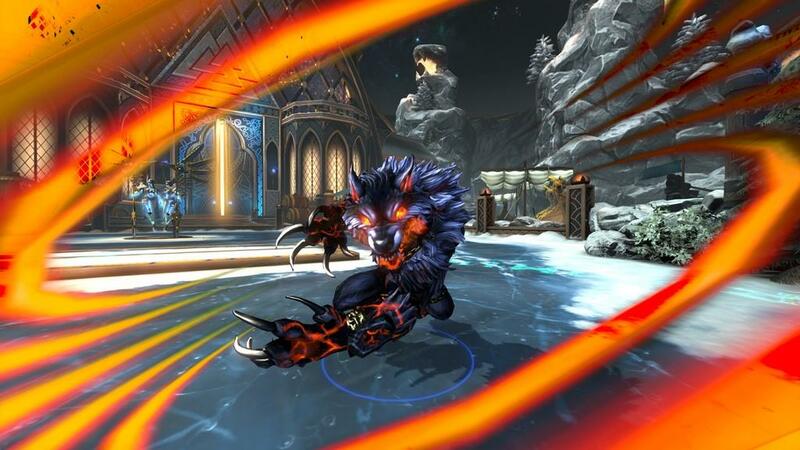 Hi-Rez has been able to do what no other company has done and that is being a true MOBA experience, filled with depth, strategy and challenge to the consoles.